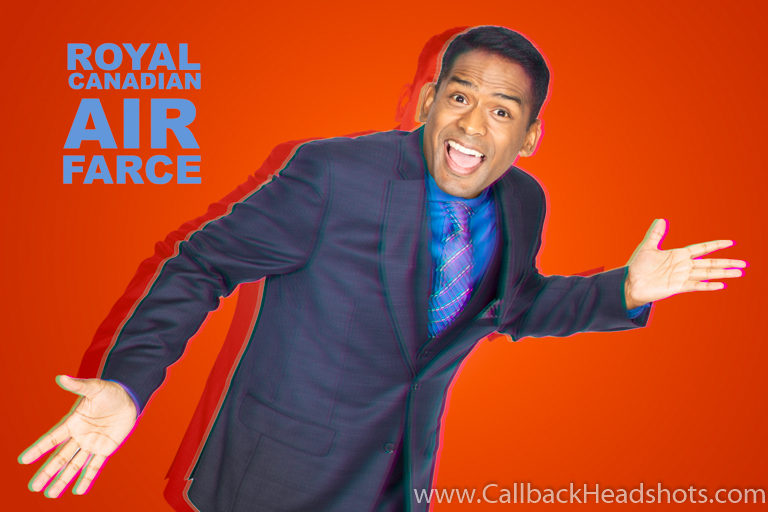 Callback Studios / News / photography for CBC Air Farce New Year’s Special!!! photography for CBC Air Farce New Year’s Special!!! If you grew up in Canada there is a good chance you watched Don Ferguson, Luba Goy, and the rest of this classic comedy team do their thing on CBC. In recent years they’ve been joined by Emma Hunter, Little Mosque on The Prairie’s Darryl Hinds, standup comedian great Aisha Alfa,and returning (verry funny) cast member Craig Lauzon, for a yearly special that skewers contemporary Canadian and pop culture. This year once again, Air Farce asked us, through Callback Studios, to do all the promo shots for the special. You can catch the shots on their site, in various media, and on the show opening credit sequence.